Q1: When will the draft and final timetable published? A draft examinations timetable will be published on the Curtin Miri website underAnnouncements, six weeks prior to the examination period, after which you will have one week to provide feedback to your Schools/Faculty, if necessary. A final examinations timetable will be published four weeks prior to the examination period with venue allocations designated by surname – you must attend the venue where you have been allocated to, or risk receiving a fine. A quick-link to the examinations timetable will be made available on the Curtin Miri website under Announcementscloser to the examination period. Although the examinations timetable information cannot be provided over the phone, you may contact the Examinations Office to clarify examination information. Q2: My exams clashed in the draft timetable, what should I do? If you have 2 examinations scheduled at the same day and time in the draft timetable, you should await for the publication of the final examination timetable before reporting these clashes as amendments to the draft timetable may affect the examinations that have clashed earlier on. Q3: What is meant by clash examinations? Important Note: It is not considered a clash examination if for example a student has 2 examinations in the afternoon of 1 day and another examination in the morning of the next day. Q4: My final timetable examination has clashed examinations, what should I do? If your final examinations still clashed after the publication of the final timetable, a clash form (also available from Student Services) is to be completed, authorised by the School and forwarded to the Examinations Office for appropriate alternative examination arrangements. The deadline for the submission of the authorised clash formto the Examinations Office is two weeks prior to the commencement of the Centrally Scheduled examination period. Q5: Is there any provision for alternative arrangements for students with Disabilities or Medical conditions? Curtin University recognises that some students require alternative arrangements for their examinations. This may be as a result of a disability, a medical condition or a religious reason. Arrangements for Equity Examinations must be requested for 3 weeks prior to the commencement of the examination period. Make an appointment to discuss your requirements with the Counselor. Q6: What should I do if I forgot to bring my student ID before I enter the exam venue? It is mandatory for all students sitting examinations at Miri campus to be in possession of their Curtin Student ID card, which is to be placed on their desk for Supervisors to check during reading time. Students without their ID card will not be permitted entry to the examination venue, and will be directed to Student Services in Building Heron 1, Ground Floor to obtain an ID card. A penalty of RM50 is applicable for every new issuance of ID card! Students will not be provided with additional time to sit for their examinations after obtaining their ID card, nor will any student be admitted into the examination after the first hour has elapsed. Student Services will operate extended opening hours during the examination period to facilitate this process. A result sanction will be imposed on students who are unable to pay for the ID card at the time of issue. The results will only be released within 24 hours after payment is received by our Financial Services. Q7: I attended the wrong examination venue, is this allowed? NO. All examinations venues has specific allocations of seats and all students has been pre-allocated a seat number in each venue. If you attended the wrong venue, you will be sitting in someone elses seat. This will create problems at the venue so we urge all students to carefully check their exams venue prior to the examinations. You will be asked to leave the room and find your correct venue if you are attending a wrong venue. Q8: Why can’t I attend other venues since it’s the same paper? Attendance at the correct venue is important for several reasons. Attendance at the incorrect venue can result in inadequate seats being available for the students that are supposed to be to be at that venue. It has also been shown that some students deliberately attend the wrong venue in order to be with friends. This creates a higher exposure to potential collusion. Q9: Am I allowed to bring my mobile phone in the examinations venue? Mobile phones or any other device (other than an approved calculator) capable of storing text or restricted information must be turned off and placed in students’ bags prior to the commencement of the examination. If a student does not have a bag, all unauthorised materials, including mobile phones, must be placed at the front of the room as instructed by the invigilators or exams supervisor. Q10: I forgot to switch off the mobile phone and it is in my possession during the exam. Students found to be in possession of a mobile phone or any other device (other than an approved calculator) capable of storing text or restricted information will be subject to a fine of RM100. A sanction, preventing the student from viewing their academic results or graduating, will be placed on the student’s record until the fine is paid. If unauthorised material is found in the possession of a student during an examination, they could face disciplinary action. “In possession” means on or next to the student’s desk or chair, in or on their clothing, on their body, or in their wallet or purse. Q11: When will the result for final examinations released? Please check the Curtin Academic Calendar for the final examinations result release date. Q12: I was unable to complete the examination due to illness, what should I do? Where a student has attempted to sit a final examination in a unit but has not been able to complete the examination or perform as expected due to illness or some other valid reason, the student may apply for an Assessment Extension. Please be advised that students with a record of repeated applications for Assessment Extensions will receive appropriate academic counselling and may be refused further approvals. 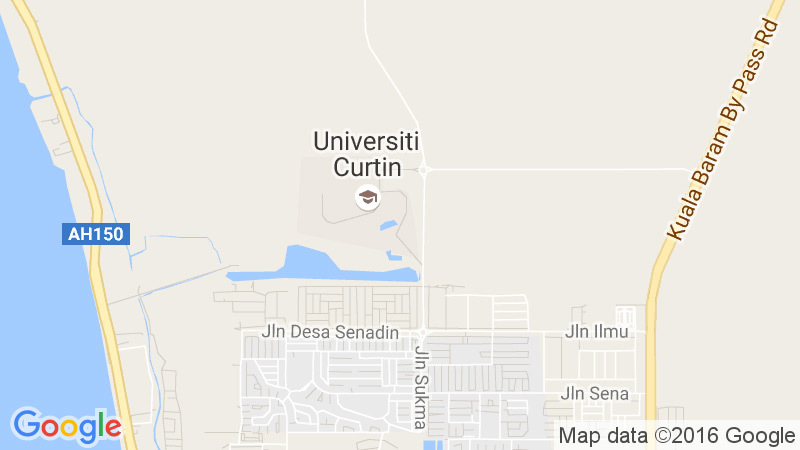 Q13: Where can I check the grading system for Curtin University? For Curtin grading system, you can refer to this link University Grading System. Q14: Please give me a guideline on how to calculate the Semester Weight Average (SWA) and Course Weighted Average (CWA). A Course Weighted Average is a calculation of a student’s average of results for Grade/Mark units for all units in a course, including units credited as Automatic Credit or Designated Credit. To calculate SWA and CWA refer to this link Formula for Calculation. Q15: What is Conceded Pass? Can I apply for it? Conceded Pass results are awarded by the Boards of Examiners and there is no avenue for students to apply for these. Q16: I want to know what is Supplementary Examinations and how to apply it? Q17: After the results were released, I’m not satisfied with the marks awarded. Can I appeal against it? Any student, who has evidence that their mark or result is incorrect, may discuss with the lecturer about the dissatisfaction before submitting a formal assessment appeal. In all cases, this involves an initial review either by the lecturer, marker or unit coordinator and if required a formal appeal. It is expected that most situations will be able to be resolved without the need for a formal appeal. Q18: I want to know in details about the Academic Status. All students commence their course with an academic status of Good Standing. However, less than satisfactory academic performance will result in a review of the status to either Conditional or Terminated. Please refer to the Academic Status website for further details. Changes to your academic status may affect your course continuation or ability to re-enroll. Q19: I was Terminated, what should I do? An academic status of Terminated means you have not achieved satisfactory course progress and are terminated from your course. You are not permitted to continue in the course or to re-enroll in the course without approval from the Academic Registrar. If you have been placed on Conditional or Terminated status it is possible there were factors outside your control that have affected your work that your lecturers were unaware of. For this reason, an appeal process is available. Please refer to the Academic Status Appeal website for further details. Q20: What is the difference between an academic transcript and semester transcript? Semester Transcript is the official Curtin University Sarawak Campus record of a student’s result and is printed on official Curtin University Sarawak Campus transcript paper. It will show the semester results only. A full complimentary Academic Transcript will be forwarded to all graduating students following the conferral of their degree by Council, which occurs in February and September each year. The conferral date and the award number will appear on the transcript from this date. Any transcript obtained prior to conferral will not contain this information. For non-graduating students, the Academic Transcript is available at a prescribed fee by Curtin Bentley.